With the Mobility taking on an advanced transformation, the huge variation has been witnessed, the way people's existence is considered. Regarding the 21st century as the era of digital revolution quite justified; and to conclude it as a more specific statement, we can say "Smartphone Revolution". In the year 2016 itself, India exceeded 200 million (20 crores)smartphone users, overtaking the US as the 2nd largest smartphone market. Today, people prefer smartphone for basic requirement such as shopping, entertainment, dining, health and Fitness, shopping and etc. Thus, with the huge demand for mobile apps, the Mobile App Development Services has reached next-level of advancement to offer the desired boost for the respective business app. 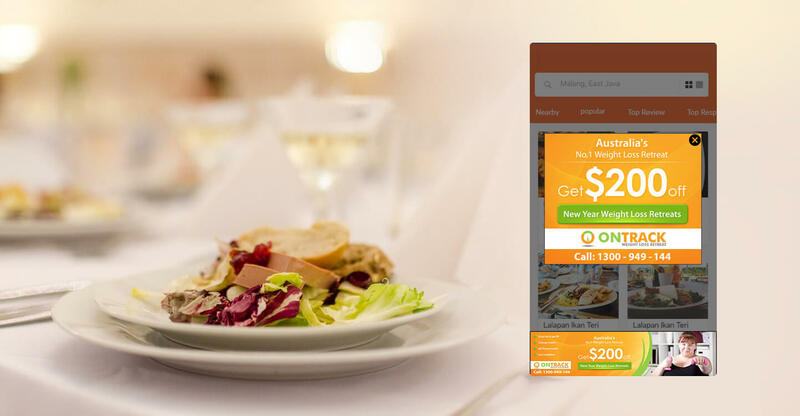 One of the most commonly used apps is restaurants app, and in this blog let's explore crucial aspects that should be avoided while the Restaurant App Development. The choice of the platform depends on the target audience and the accessibility that people owes. For instance, if you consider Asian countries, most of them have the number of Android users in comparison with iOS. Here, in this scenario choosing iOS will be the wrong choice. Likewise, if you are targeting US audience, iOS mobile app development can help in gaining the positive edge. Further, motive can be achieved by balancing the target audience, and this can be done with the cross-platform app. This will help to hit larger users base, irrespective of platform choice. Make a list consisting of the necessary features required to boost apps performance. Be specific about the user's requirement pertaining to the hospitality sector. Avoid unnecessary features. And attention should be given while choosing the features to add so that the app doesn't look messy. Well, ads add monetary support. However, it is not like by users, as it suddenly pop-up during the browsing which complicates the ongoing task. Check the performance issues, before making the app go live. The app may run slow or sometimes drain the gadget's battery and this can happen even if the UI and the layout of the app are to the point. Even when the UI and the layout of the app are updated, the client base many ask it on the basis of performance and battery usage. Further, there must be regular checks regarding the performance to update changes as per customer base to maintain their loyalty. The user experience plays an important role in deciding the success of an app. Thus, emphasis should be made on planning the interface of the app before the development. Start with a simple layout rather than complicating it with complex designing. The simple layout will provide ease to the users establishing a sense of loyalty among them. An engaging app must follow the long-term strategy to maintain the strong relationships between visitors and restaurant. This feature is useful because the user can make a strategy, gather the statistics, and at the same time understand the customers’ behavior. (For instance; what they choose, what they add for easy order, what filters they find comfort in, how they seek the right offer). Having a geolocation feature in your application will help people who visiting a new city or guide to decide where to go. The inherent admin panel for users is not all about having a fancy and exceptional design. The foremost purpose of the administrative panel should be focused to ensure understandable and intuitive making the search and orders easy. Establishing a proper flow which leads to the needful customer’s result. The dynamic and coherent CRM will assure proper management of all feedbacks, issues, and proper engagements between customers. Well, there's no universal formula for developing a great UI app design. However, by avoiding some major mistakes, the developer can build a great app. The above-mentioned mistakes can affect the performance of the app. Therefore you must be careful while designing the Food Delivery Website Development to boost efficiency and make your custom app with its performance.